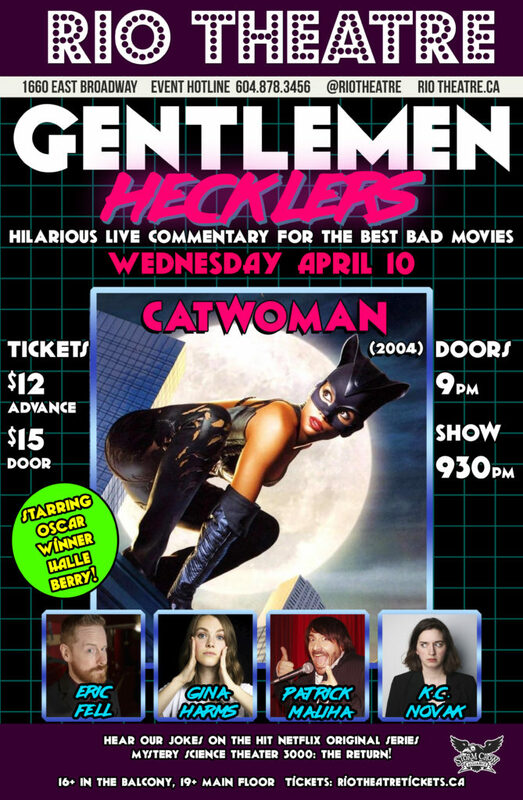 The Gentlemen Hecklers are proud to present hilarious, live commentary for the 2004 masterpiece CATWOMAN! Join Eric Fell, Gina Harms, Patrick Maliha, and K.C. Novak at The Rio Theatre as they crack wise at the Halle Berry/Sharon Stone classic that captured the world’s imagination! Get your tickets right here and save a couple of bucks!